A panel discussion at the National Disability Dialogue hosted by the Ugandan government. 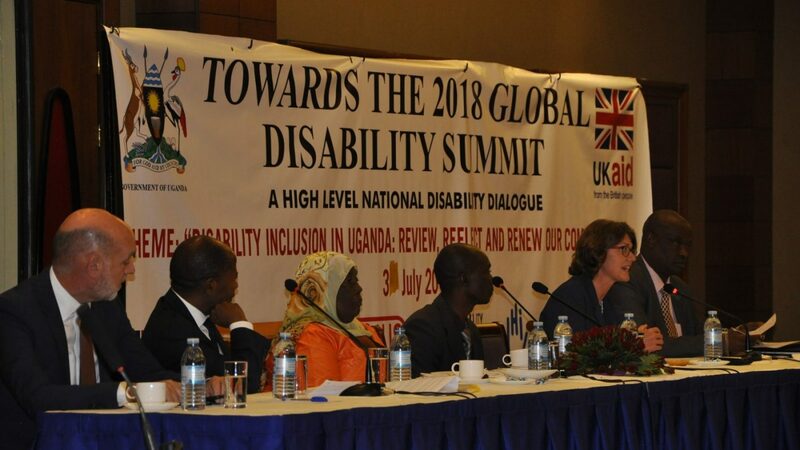 Sightsavers’ Uganda country office has taken part in a National Disability Dialogue hosted by the Ugandan government, which announced a set of national commitments towards disability inclusion ahead of the Global Disability Summit being held in London in July. 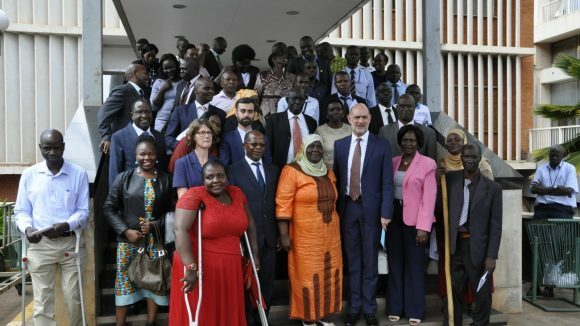 Hosted by the Hon Janat Mukwaya, Minister of Gender, Labour and Social Development in Kampala, the dialogue emphasised how Uganda can achieve the aim of the Sustainable Development Goals to leave no one behind, including the estimated one billion people with disabilities. Sightsavers’ Uganda country office was one of the disability partners that took part in the dialogue, alongside disabled people’s organisations, UN agencies and donor governments. 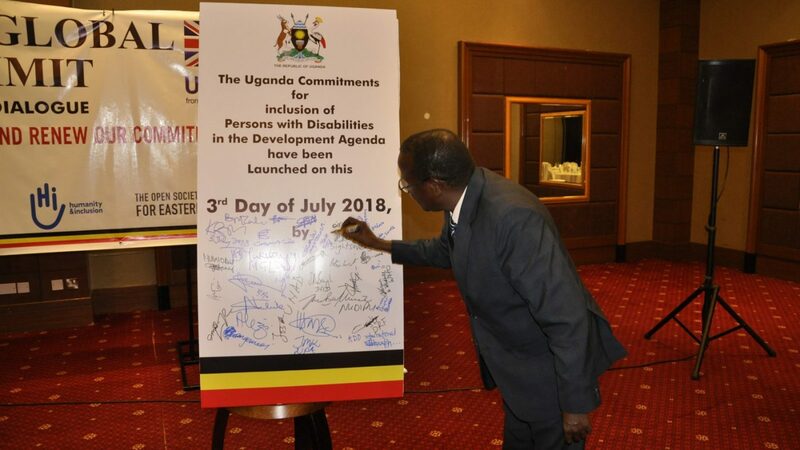 The commitments launched by the Ugandan government come ahead of the Global Disability Summit, which will take place on 24 July 2018 in London. 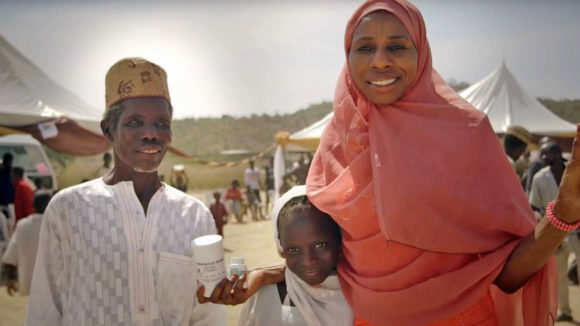 Prior to the summit, national governments are holding dialogues and consultations to identify and discuss the disability inclusion commitments they plan to pledge, to ensure people with disabilities are included in global development. The Global Disability Summit, hosted by the UK government, the government of Kenya and the International Disability Alliance, aims to celebrate the rights and achievements of people with disabilities and ensure solid commitments are made to ensure lasting change in the lives of people with disabilities. Sightsavers’ Dr Johnson Ngorok signs up to the Ugandan commitments that will be submitted at the Global Disability Summit.